Sweetbreads is the meat of the hour. These smooth and tender veal bites are a-must-to-try at least once in your life! 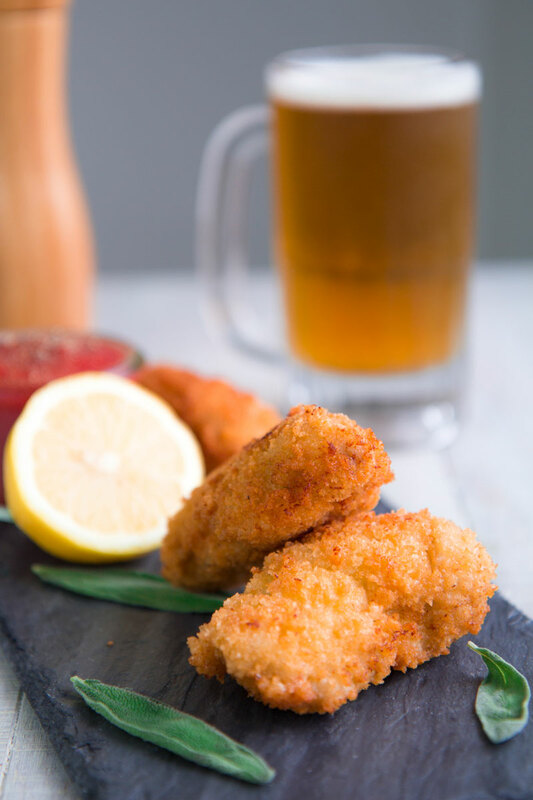 Today I present you a simple recipe to taste them; breaded in a crunchy crust in delicious contrast with their soft texture. Try it on; if you like chicken nuggets, you will love Sweetbreads! 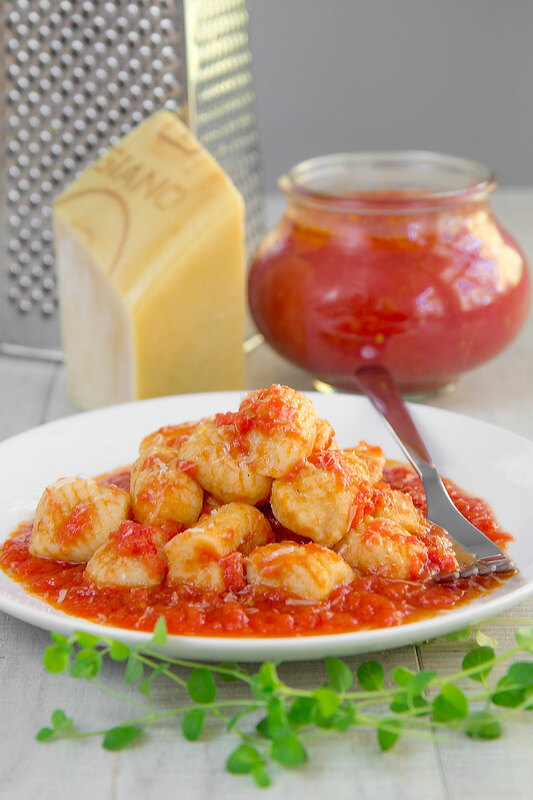 POTATO GNOCCHI RECIPE & HISTORY – all you need to know! Potato gnocchi: these world famous dumplings are so tender, tasty and rich in history! Any region of Italy has its own recipe for gnocchi. Alla Romana, Canederli, Plum Gnocchi, Alla Sorrentina, a plenty of recipes has its roots in a mix of history and legends. A combination of old and new ingredients coming from the Nuovo Mondo, like potatoes and tomatoes. Here all that you need to know about gnocchi, and the recipe of course! 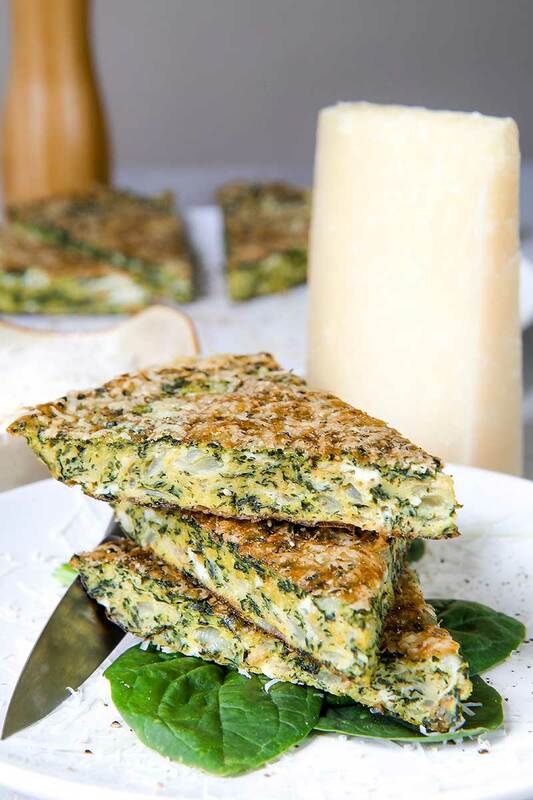 This Italian frittata is easy and tasty, and not requires flipping it! Spinach and onions combine perfectly with goat cheese. By finishing into the oven you create a yummy pecorino crust. 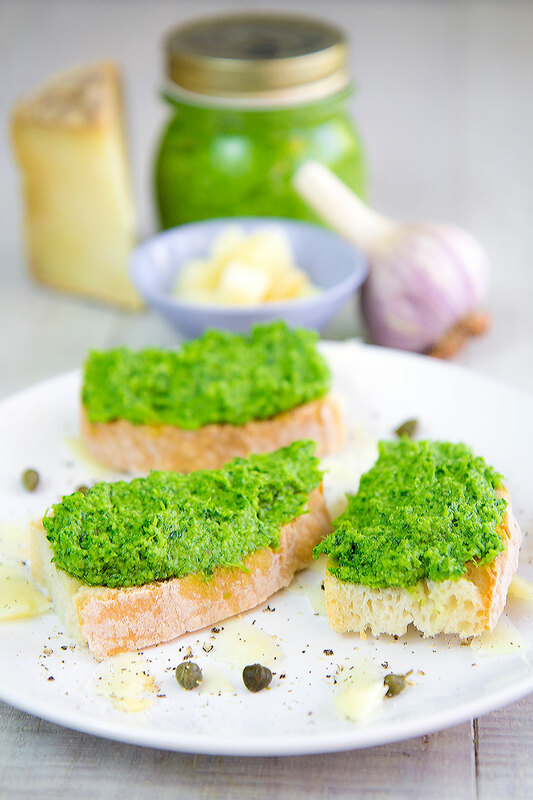 This recipe is great as appetizer or picnic lunch. Serve frittata warm or at room temperature, paired with toasted bread slices, green salad and/or cured meats. 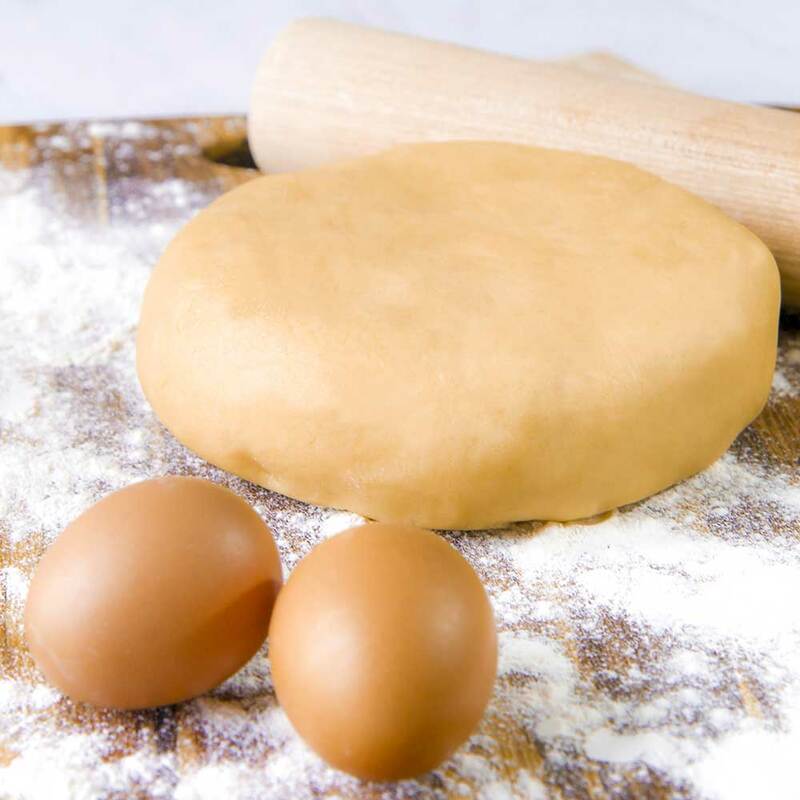 The pastry dough recipe is essential for several sweets. Make it is not difficult, but it’s mandatory follow some steps. The rewards will be an crispy and tasty dough, perfect for cookies or tarts. Once you try this homemade pastry dough you can’t do less than make it again, and again! Strudel is a typical Austrian sweet of Byzantine origin. In Italy is typical in the regions neighboring Austria, especially in Trentino South Tyrol. The original strudel ingredients are apples, raisin and pine nuts, wrapped into a thin pastry dusted with powdered sugar. 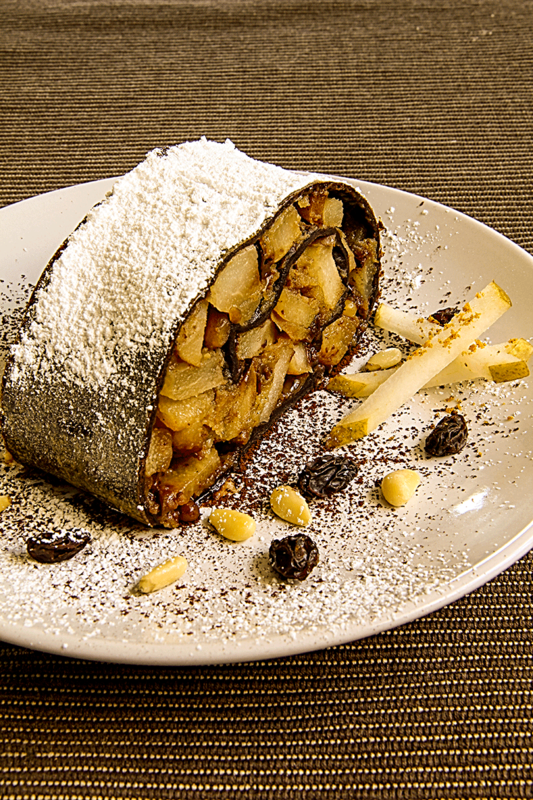 Today I propose you an original version of strudel, stuffed with pears, chocolate, pine nuts and caramel. Even the dough is made of cocoa to obtain an explosion of flavor! Spatzle are a particular kind of fresh pasta typical in Northern Italy, Switzerland, Austria and Bavaria. Spatzle dough is prepared with egg, flour and water or milk. Depending the quantity of liquid in to the dought the Spatzle shape is long like big noodles or short like little gnocchi. With the help of the special tool (the Spätzelhober ) making Spatzle is very easy! I love make them for special dinner. If you prefer (I prefer!) it is possible cook the Spatzle a few time before serving, seasoning with the sauce. In this case is best pre-seasoning with a little bit of melted butter or olive oil to prevent sticking. 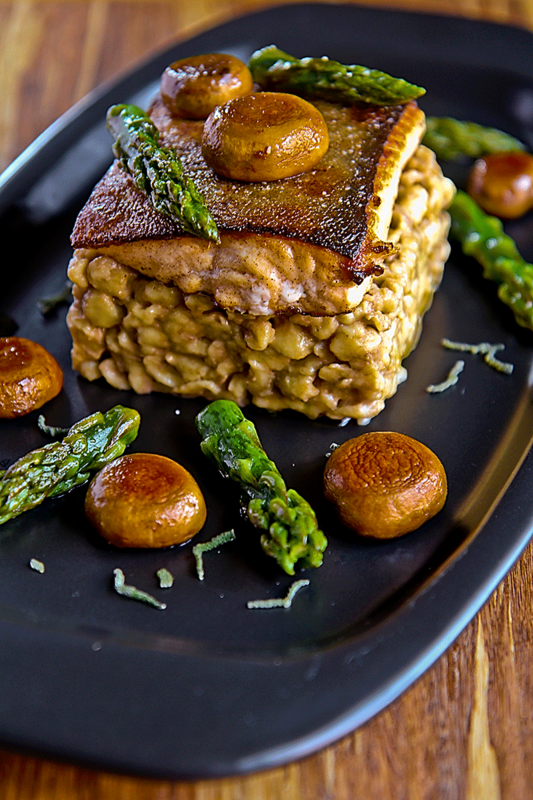 Often Spatzle are presented as a side dish or seasoned as a pasta Today I propose them with a sauteed fillet of char, topped with mushrooms and asparagus. For me, born and raised in Bologna, stuffed zucchini are part of the tradition. This vegetable came in Europe from America, as a consequence of Cristoforo Colombo travelling, and was quickly introduced in the tradition of Italian cuisine. 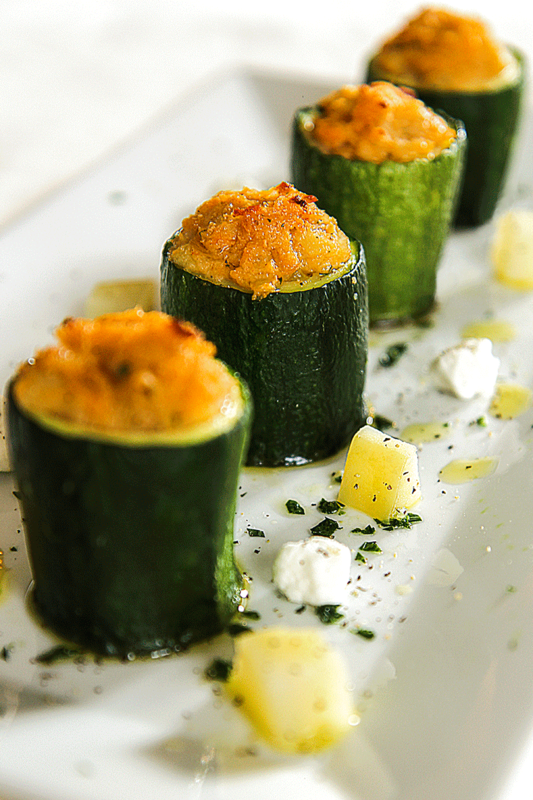 For centuries, stuffed zucchini were prepared with the leftovers of meat to provide a dish full of vitamins and protein. Here, I suggest a vegetarian version, filled with tasty goat cheese, coriander seeds, potatoes and shallots. Stuffed zucchini can be prepared either “lying” or “standing”, but I personally prefer the second option. Do not dig totally the zucchini, in order to preserve a base that will prevent leakage of the filling. 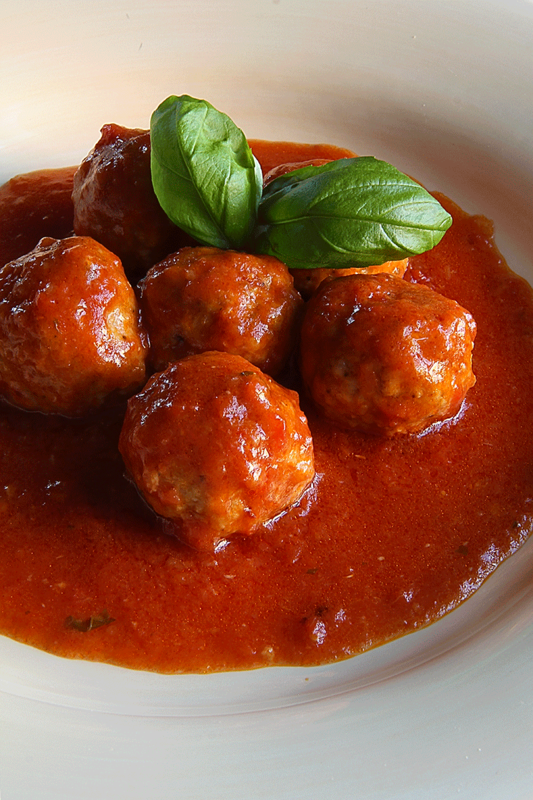 In Italy, meatballs (that we call “polpette”) are a classic Monday dish. In fact, originally the meatballs were made with the leftovers of the meat used for Sunday’s broth. Nowadays, meatballs are no longer made just to avoid throwing out leftover food, and we prepare them in many ways: with vegetables (eggplant is an excellent choice), meat (veal, beef or pork) or fish (especially cod and shrimp). Usually the balled mixture is fried and then simmered, although at times they area perfect street food, just fried and eaten on the go. Today we are going to prepare sausage meatballs, topped with a sauce made of tomatoes and fresh basil, without frying them so they are lighter. Given that the meat is very savory, I don’t add salt to either the sauce or the meatballs, and they are still very tasty. Your only regret will be not having prepared a few more! 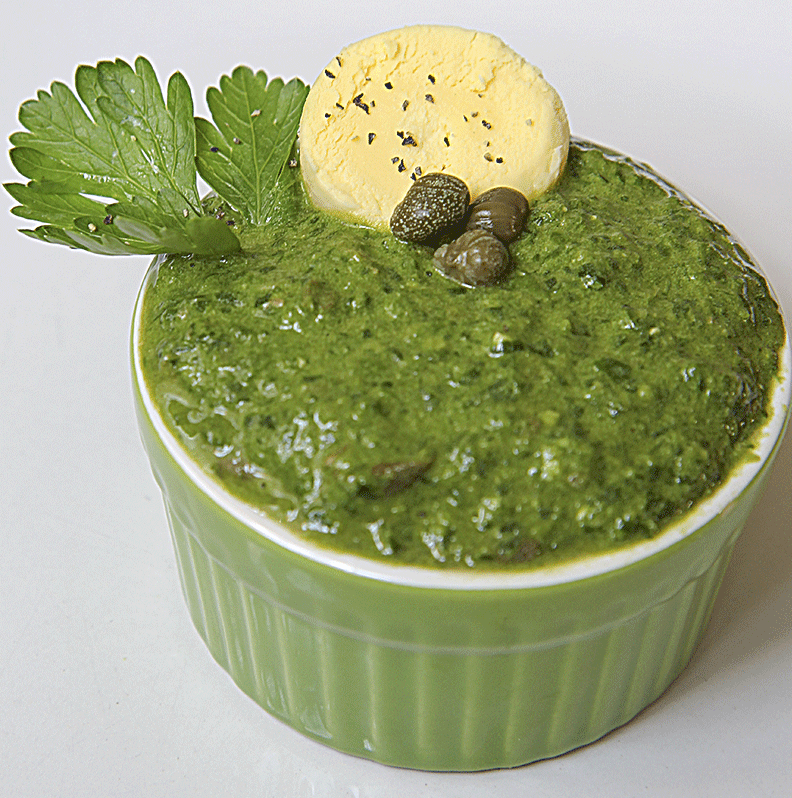 In preparing this particular sauce, I was inspired by the classic Italian green sauce recipe (salsa verde). We use this sauce to accompany Piedmontese boiled meat and Tuscan offal. I needed something that would work well to accompany both fish and meat. So I eliminated the bread to lighten the sauce and added wasabi, to give it a more fresh and pungent taste. Try it cold, but not ice cold, and if you can, use a mortar leaving the mixer tightly locked in the cupboard!